YouSurance is First to Assess Health and Lifespan Using Epigenetic Biomarkers for Life Insurance Applicants | GWG Holdings, Inc.
MINNEAPOLIS, Oct. 02, 2018 (GLOBE NEWSWIRE) -- YouSurance, a digital managing general agency (MGA), is the first company to use epigenetic biomarkers to assess life insurance applicants’ health and lifespan. YouSurance’s patent pending process of predicting biological aging and all-cause mortality is step-change technology for the life insurance industry. YouSurance is a wholly owned subsidiary of GWG Holdings, Inc. (Nasdaq: GWGH) and part of a family of companies committed to offering transformational products and services into the life insurance industry. YouSurance, and its sister company, Life Epigenetics, Inc., are applying epigenetic technology and machine learning to gather insights into health and wellness that have never before been available. At YouSurance.com consumers can purchase life insurance from a variety of carriers. Consumers purchasing life insurance with YouSurance will receive a Longevity Report that provides an assessment of their epigenetic age, or biological age, which can differ from their chronological age. The science behind YouSurance is based on epigenetics, which unlike genetics modify gene expression due to extrinsic factors such as age, behavior and environment. By analyzing an epigenetic profile, YouSurance can assess an individual’s health and wellness, which includes the rate of biological aging. YouSurance is the first company to apply this technology to life insurance. 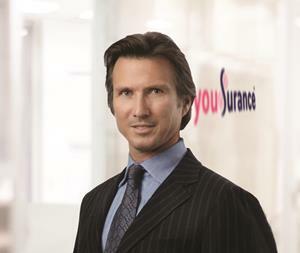 YouSurance.com, an insurtech subsidiary of GWG Holdings, Inc. (Nasdaq:GWGH), is the first digital managing general agency (MGA) to assess a consumer’s health and predicted lifespan using epigenetic biomarkers in order for healthy consumers to save on their life insurance. For more information about YouSurance, email info@yousurance.com or visit www.yousurance.com. GWG Holdings, Inc. (Nasdaq: GWGH), the parent company of YouSurance and Life Epigenetics, is a financial services company transforming the life insurance industry through disruptive and innovative products and services. For more information about GWG Holdings, email info@gwgh.com or visit www.gwgh.com.